Dr. Cate Crowley created this document to support speech language pathologists in appropriate disability determination, from carrying out the assessment to writing a quality report. Included here is a template along with the law, policy, and research supporting it as best practice in identifying individuals with disability. 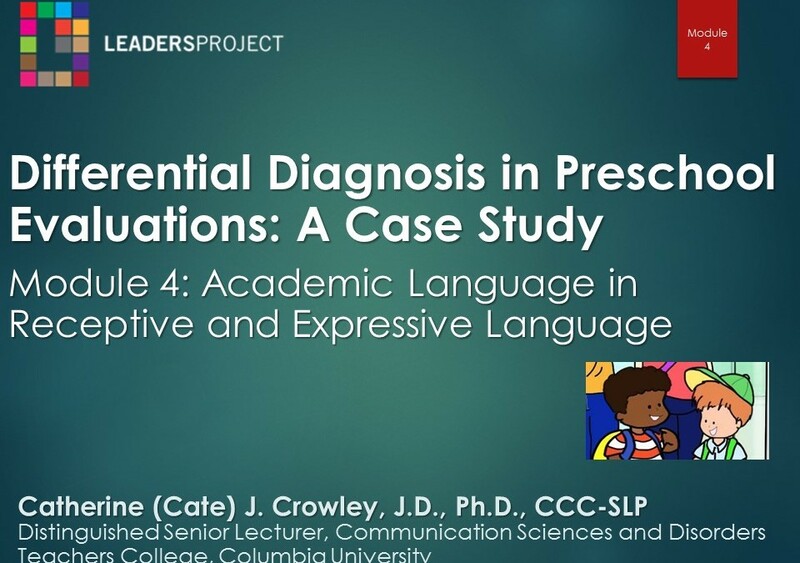 Dr. Cate Crowley walks us through an appropriate evaluation of a culturally and linguistically diverse (CLD) preschooler, previously misdiagnosed. She takes us from the parent interview, to interacting with the child, writing the evaluation and even formulating appropriate IEP goals. 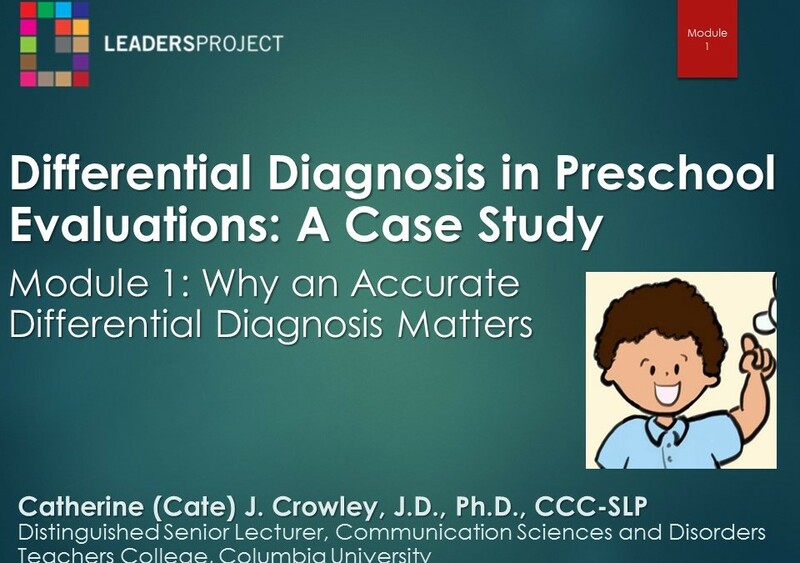 In this module, Cate introduces the DDPE module series by discussing why it is so important to get an accurate diagnosis. 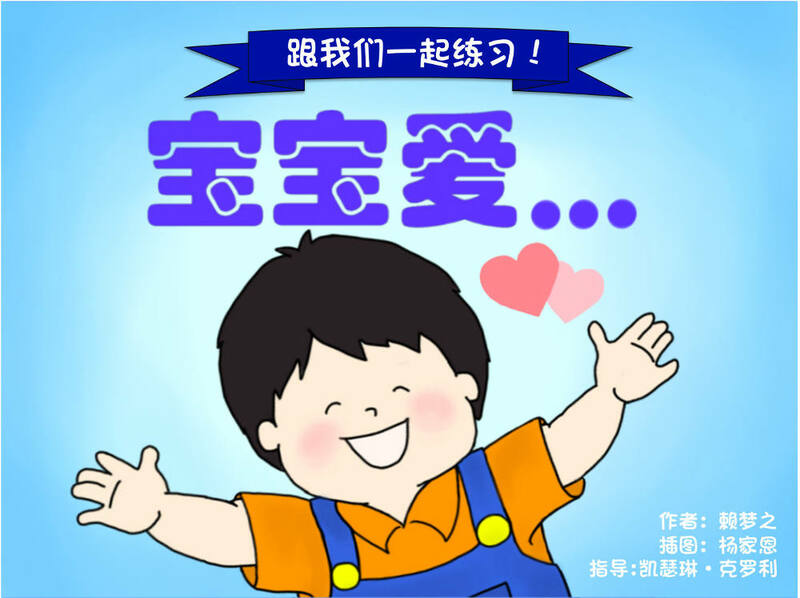 She does so by demonstrating a real-life evaluation step by step. 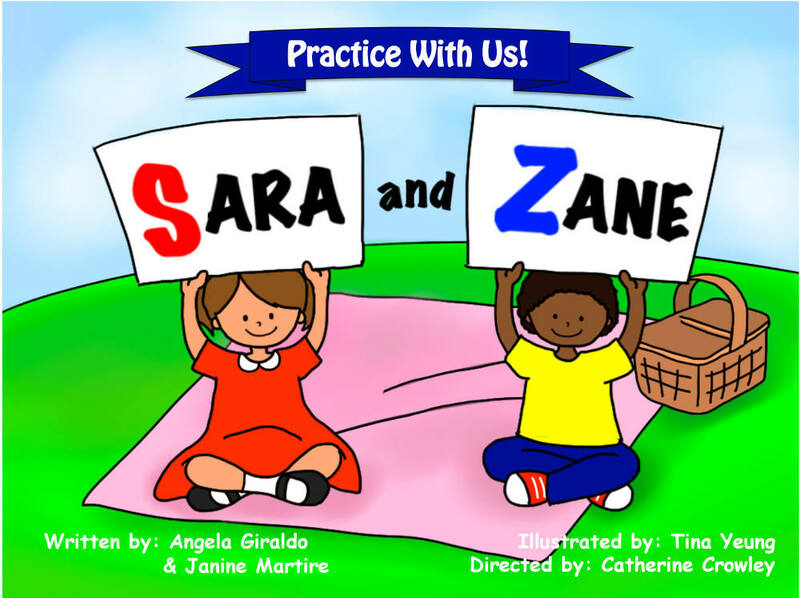 In this second module, Cate reviews the critical questions that should be asked of the parent during an evaluation and begins the first part of the interview with Alex’s mother. 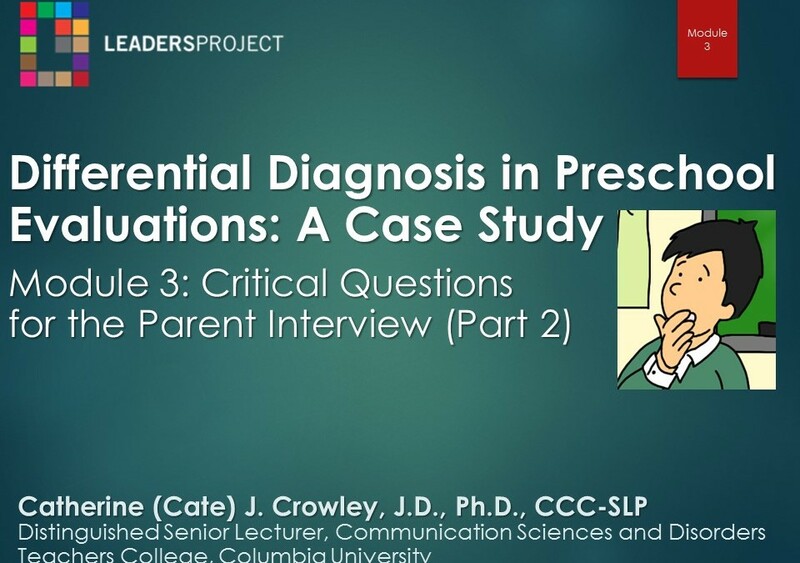 In this third video module, Cate continues on with the critical questions that need to be answered during the parent interview. 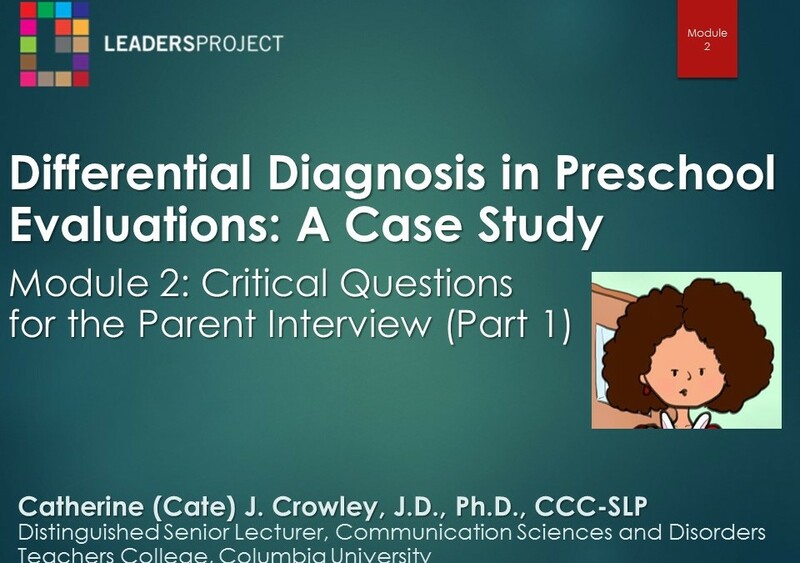 In this video module, Cate introduces the child being evaluated for this case study and begins the evaluation by using a variety of materials available on LEADERSproject.org.